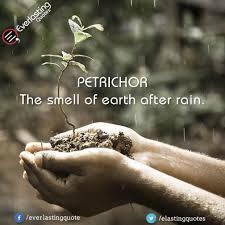 What’s the word for how it smells after it rains, it is such an uplifting scent which seems to enchant our Soul in some very magical ways. Opening our 5 senses and becoming more aware of the natural elements that surround us has a way of igniting our intuitive nature. When our intuition is burning with the flames of consciousness we are more likely to feel less suspicious of the world in which we live. Those feelings we get from time to time deep within our belly is the native speaker we often neglect to acknowledge. Each of us is blessed with inner wisdom, we all have a native guru inside of us that is available for consultation at any given time. More often than not we give little time to the counsel of this internal speaker, we revert to the advice of our judgemental and controlling Ego. In order to understand the difference between the voice in your head and the feelings of your Soul we must gift our Self-time with our imagination, it is only when we are able to unleash our creative nectars are we truly connected to our inner wisdom. Time in the expression of creation has an extraordinary effect on our 6th sense, the awareness we neglect so very often. Intuition is perception, the foresight that assists us in the right way path of our spiritual journey. Intuitiveness is the second sight, the vision we don’t see with our eyes but rather what we observe as a feeling inside of our bones. What creation lies asleep within your Soul, what is the burning desire which awaits you, allow creativity to be an impulse, don’t think just do. See where your imagination leads you, perhaps there is a talent waiting to be unearthed inside of your Being. So what’s the word for how it smells after it rains, and what would be the effect of other discoveries you have yet to imagine?